“Culture” is not perhaps the best word, but it’ll do for the moment. 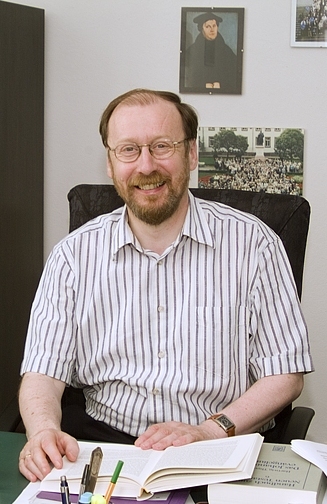 Udo Schnelle’s SNTS presidential address from last year has been published: U. Schnelle, ‘Das frühe Christentum und die Bildung’ NTS 61 (2015), 113-143. Early Christianity is often regarded as an entirely lower-class phenomenon, and thus characterised by a low educational and cultural level. This view is false for several reasons. (1) When dealing with the ancient world, inferences cannot be made from the social class to which one belongs to one’s educational and cultural level. (2) We may confidently state that in the early Christian urban congregations more than 50 per cent of the members could read and write at an acceptable level. (3) Socialisation within the early congregations occurred mainly through education and literature. No religious figure before (or after) Jesus Christ became so quickly and comprehensively the subject of written texts! (4) The early Christians emerged as a creative and thoughtful literary movement. They read the Old Testament in a new context, they created new literary genres (gospels) and reformed existing genres (the Pauline letters, miracle stories, parables). (5) From the very beginning, the amazing literary production of early Christianity was based on a historic strategy that both made history and wrote history. (6) Moreover, early Christians were largely bilingual, and able to accept sophisticated texts, read them with understanding, and pass them along to others. (7) Even in its early stages, those who joined the new Christian movement entered an educated world of language and thought. (8) We should thus presuppose a relatively high intellectual level in the early Christian congregations, for a comparison with Greco-Roman religion, local cults, the mystery religions, and the Caesar cult indicates that early Christianity was a religion with a very high literary production that included critical reflection and refraction. Fascinating video (and article) on the Dove Press type (used for a five volume Bible). More on the story of the Doves Press here. Approximately 80% of the text of Jannes & Jambres preserved in this Ethiopic witness is previously unattested. In two places, however, parallels exist with the Greek evidence. The first of these occurs at the very beginning of the fragment and overlaps with both Vienna Frag A and P. Chester Beatty XVI Frame 4↓, while the second, which commences about two-fifths of the way through f. 1v and continues almost until the end of the leaf, aligns with Vienna Frag B and P. Chester Beatty XVI Frame 3→. No precise textual correspondences with the extant Greek material exist for any portion of the second Ethiopic leaf. Its content, however, consists primarily of laments for various elites who have died (probably the nobles of Egypt), which each section introduced by the question “Where is (name)?”, traces of which may be attested in the very fragmentary later leaves of P. Chester Beatty XVI. In any case, the substantial quantity of unique material in the Ethiopic fragment suggests that the Greek evidence probably represents a smaller portion of the full text of the apocryphon than has been supposed to date. This is interesting of course because Jannes and Jambres are mentioned in 2 Timothy 3.8f: “As Jannes and Jambres opposed Moses, so these men also oppose the truth, men of corrupt mind and counterfeit faith; 9 but they will not get very far, for their folly will be plain to all, as was that of those two men.” This is interesting on at least three grounds: a) hermeneutical; b) canonical and c) textual. a) In terms of the hermeneutical assumptions exhibited here, it seems to be a very clear example of a NT author reading (and referring) to an OT text not (only?) in its original form (where the magicians of Egypt are not named), but in the form in which it was understood in popular Jewish Bible reading (the names appear at Qumran in CD 5.18f; Tg Ps-Jon on Exod 1.15 & 7.11f; and become very widespread in magical circles, even appearing in Pliny, Nat. Hist 30.2.11) [Other clear examples to consider would include Acts 7.22; 1 Cor 10.4; Jude 9, 14f] It will be interesting to see whether the new discovery sheds any light on Paul’s appeal to these men in 2 Timothy 3.
c) In terms of the textual interest, we could note that NA28 notes a variant reading “Mambres” for Jambres. “Mambres” is read by F G it vg(cl.ww) and Cyprian. This reflects the spelling within Latin and rabbinic sources for the Jannes and Jambres tradition which also read “Mambres” (including Origen, since the latter portions of his commentary on Matthew survive only in Latin). So there may be some intersection there between apocyrphal traditions and the text of the NT. d) Although it doesn’t, as far as I can tell, address this passage, there is an excellent and informative discussion of some similar issues in relation to expansionist readings of the New Testament text in Bruce M. Metzger, “Names for the Nameless in the New Testament: A Study in the Growth of Christian Tradition,” in Patrick Granfield & Josef A. Jungmann (eds. ), Kyriakon: Festschrift Johannes Quasten, 2 vols. (Münster, Verlag Aschendorff, 1970) vol. 1: 79–99 (reprinted in his New Testament Studies: Philological, Versional, and Patristic (Leiden: Brill, 1980), 23-45 (and available here). This is a new development, since until recently the Vatican had been referring to the codex as “Vatican Library, Bodmer Papyrus XIV-XV”. 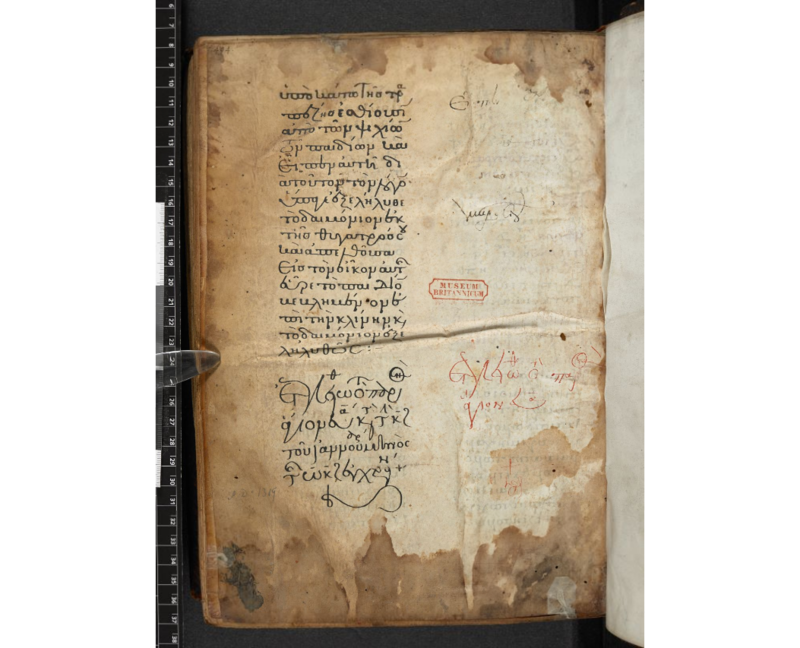 While the reference to Bodmer at least recalled the place of this codex in the larger collection with which it was purchased, this new name refers to Frank Hanna (who bought the codex from the Bodmer Library in 2006 and donated it to the Vatican in 2006/7). I am not sure whether the additional term “Mater Verbi” is a reference to Mary as mother of the Word, or to the church as the mother of the Word. I await further clarification on that aspect of Catholic theology. 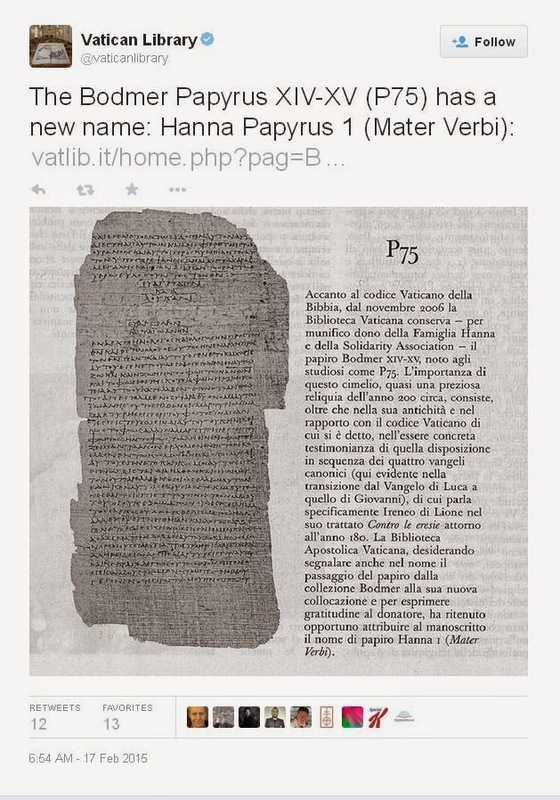 I’m also not too sure whether this new name will catch on (even the Vatican seems to be using “Hanna Papyrus 1 (Mater Verbi) (P75)”). It is also interesting that for Frank Hanna the private ownership of biblical papyri is intimately connected with his Christian faith and apologetics, as seen in the following interesting excerpts from his recent talk entitled, Defending the Faith, Defending the Word of God. Don McLean has said that the original manuscript of American Pie (for our younger readers who don’t know what that is see below) will ‘divulge everything there is to divulge’ about the meaning of the track. Coincidentally he is also try to sell the 16 page manuscript for $1.5 million. See here and/or here. 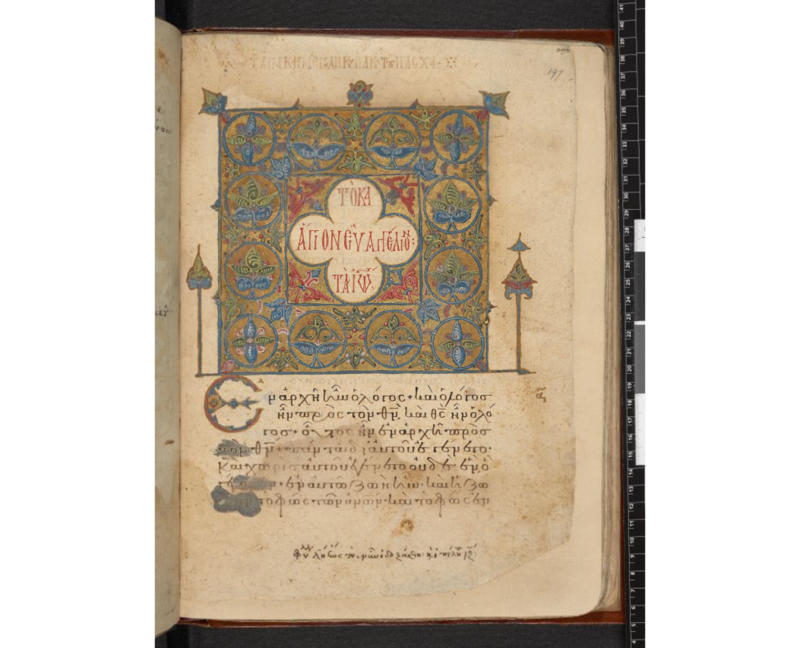 The whole of Codex Vaticanus (OT and NT) now online. 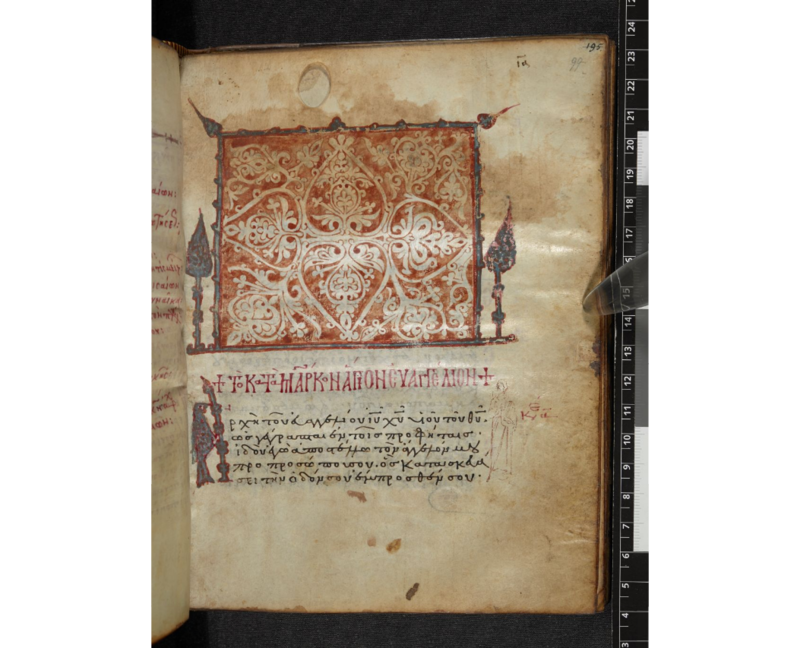 For background on the wider project (digital images of all 80,000 manuscripts in the Vatican Library), see here. The Glory of Byzantium: Art and Culture of the Middle Byzantine Era, edited by Helen C. Evans, William D. Wixom (New York: Metropolitan Museum of Art, 1997). This exhibition catalogue includes a number of Greek New Testament MSS (see the chapter by Jeffrey C. Anderson on Manuscripts, p. 83ff.). The 28th International Congress of Papyrology will be held in Barcelona in August 2016. The organisers write: “We congratulate ourselves and very much look forward to host a new edition of our periodic gatherings, where we traditionally share scientific knowledge and human experiences.” If you are planning that far ahead information is available here. If All The Bible Translations Had A Dinner Party. About this time last year I wrote a blog about the wikipedia page concerning Codex Alexandrinus, under the heading How Bad Is Wikipedia? 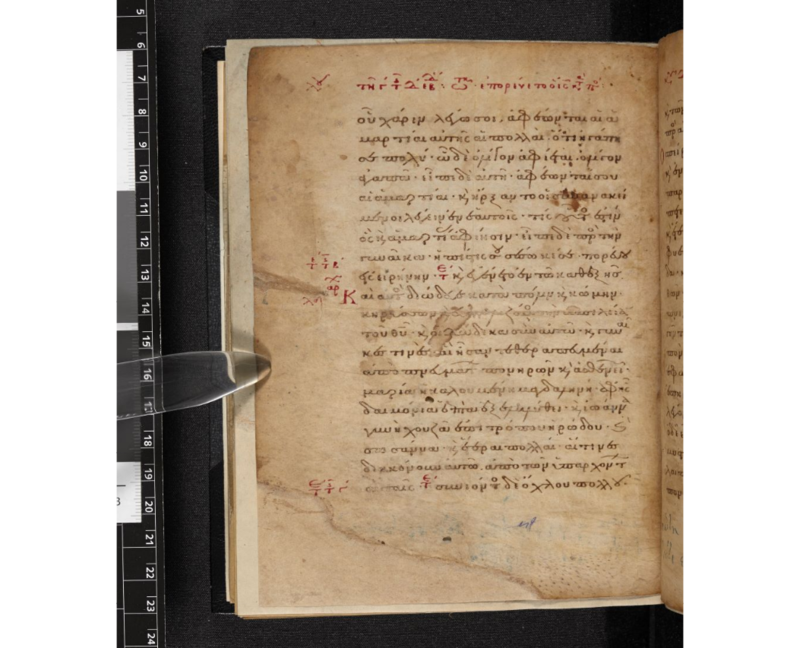 Codex Alexandrinus as a Test Case. 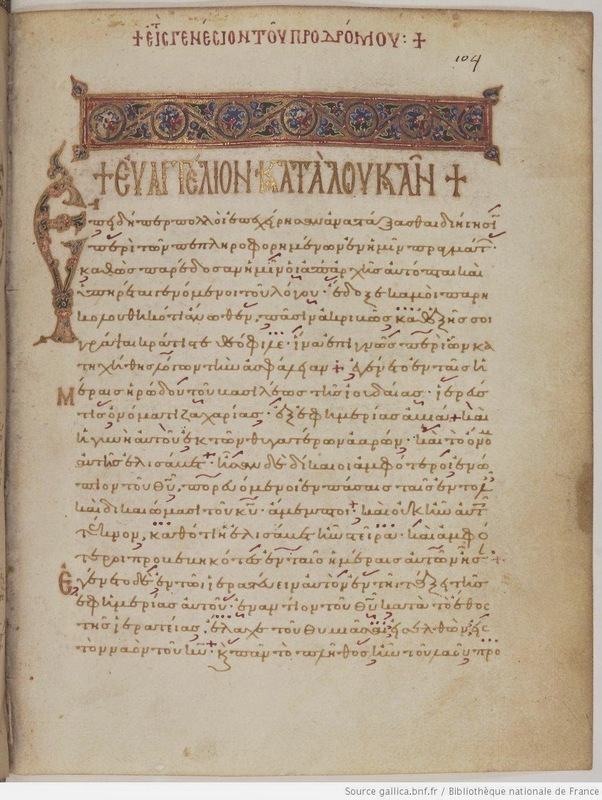 Well, recently (in fact yesterday) I led a seminar on the NT manuscript C or 04 (Codex Ephraimi Rescriptus), and I happened to have a look at wikipedia again. Oh dear. This page also has plenty of problems - wikipediea obviously hasn’t really get a lot better in the last year. And this time I went all the way to the end and I found 20 problems, approximately half of which are either completely wrong or seriously misleading. See what you think. Three problems with this sentence: i) the use of the word “early” for the date in the fifth century. By way of introduction it would be better to simply say ‘fifth century’ which is widely agreed. The possibility of narrowing down the range could be dealt with later (with evidence or argument). ii) and iii) the description of this as ‘the last in the group’. It is not clear what the word ‘last’ refers to here. If it is a dating issue, then it is unclear why C should be regarded as later than A (esp. if it is thought to be ‘early 5th century’ of course). It was not the last to be discovered or published. It is only ‘last’ in the alphabetical arrangement, but that means nothing. Further the sense in which the four great Greek Bible manuscripts are a ‘group’ is also not clear. 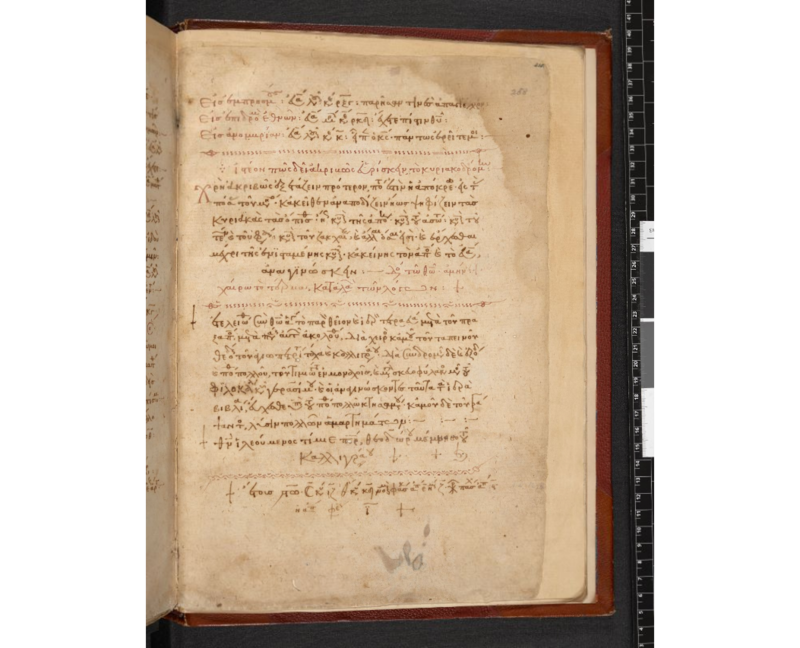 It would be better to keep it simple: ‘one of the four Greek Bible manuscripts which survive from the fourth and fifth centuries’. These sentences are just too clunky and inelegant. Well it is true that 209 leaves survived up to the time of Tischendorf and are reflected in his published text; and this is a bit geeky, but in fact only 208 leaves are extant in the volume currently in the BN - there is one missing (and Tischendorf was the last person to hold it). This is completely wrong. The footnote reference is to Gregory’s discussion of Codex Bezae. The difficulty here is partly linguistic and partly relates to the incomplete nature of the surviving evidence. Firstly it is not right to say that “the text of the Gospels is divided according to ...” The problem here is the word “divided”, the ennumeration of the kephalaia does not divide or even disturb the text of the gospels. It is a marginal system of ennumeration. Further it looks like the parenthetical italicised terms are translating the Greek words cited, but that doesn’t work with the third of these which is merely an equivalent for the whole phrase (a list of titloi = a table of contents). Further only two of the lists survives - so one should inject a note of caution: ‘based on the presence of the list of titloi preceding Luke’s Gospel and John’s Gospel it is reasonable to think that similar lists would have preceded each Gospel’. Finally, although no titloi are visible in the upper margins it is not to my mind certain that none were ever placed in the upper margin, since it is normal to have some orientation in the upper margins. Two possibilities would be worth considering, either that the material in the upper margin was written in red ink and so very thoroughly erased (like the first verse/s of each NT book); or that the pages were trimmed down when the book was rebound in the twelfth century [this in fact was Tischendorf’s view]. Here again the term “divided” is not helpful. More substantially there is a question about the the presence of the two numbers in C. Only the upper number (the so-called Ammonian Section) is visible, and only these numbers are represented in Tischendorf’s transcription. Since Eusebius specifically mentions that the second number, the Eusebian Canon number, should be written in red ink; and since it appears that the red ink was well washed off in this manuscript, then it is possible that the Eusebian Canons were marked. But no one has ever seen them. This should be stated in terms of probability rather than provenness, as indeed Metzger does in the Textual Commentary that is cited: ‘highly probable’. Other than the basic affirmation all the rest is completely wrong. Mark 16.9-20 is included in the text of Mark in this codex, there is no need to count anything. It is all there on folio 148r. 9. The list of lacunae. Two problems: a) surely it is more helpful to offer a list of passages which are present in the manuscript rather than a list of what is not present; b) the current list includes many passages that were present in red ink and have been more thoroughly erased than the main text in black ink. So it would be helpful to treat this, when extant, a bit differently from passages that are merely missing. Obviously this is a difficult aspect of this manuscript, but this could be made clearer. Especially the referent of “it” is often not clear. E.g. in the following sentence one would be forgiven for thinking that Westcott-Hort (and von Soden) are addressing the textual character of Luke’s gospel in particular (which they are not): “In Luke its textual character is unclear. Westcott-Hort classified it as mixed; Hermann von Soden classified it as in the Alexandrian text-type.” It is also not quite correct to say that Westcott and Hort “classified” the textual character of the manuscript as “mixed” (it approximates to their view, but makes it sound more technical than it was). Since ‘interpolations’ are textual variants, we have three different categories for the same thing. Simplest to have a list of ‘Some textual variants’ and another list of ‘some corrections’. Of course some consideration as to why these are chosen to be listed and on what basis would be helpful. Firstly there is an error in the inclusion of ‘or Palestine’ at this point, since that is not what Gregory says. Secondly, whether it was ‘probably written in Egypt’ is doubtful. Better to say that Tischendorf suggested Egypt and no one has made a serious counter proposal.Thirdly, this ‘before the middle of the fifth century’ (or as previously ‘early fifth’) is in Gregory, but there really is not much by way of evidence, and most authorities seem to have been happy with a simple ‘fifth century’. Aside from the fact that this sentence barely makes sense, it is also wrong. Tischendorf discerned two scribes: one for the OT, one for the NT. Others (including Lyon) have suggested the possibility of a third scribal hand. This makes it all sound so definite. No one knows where (or indeed when) C2 worked. Tischendorf suggested Palestine, Syria or Asia Minor (just places in between Alexandria and Constantinople). This is completely bogus. The cited reference makes no such claim. He was in charge of the Royal Library, so he was more than just any old French scholar. This is a rather odd statement. Of course it was not perfect, but the logic does not follow and judging by the paucity of Lyon’s corrections Tischendorf’s transcription was excellent. This sort of comment (and the citation where it is made) is not particularly helpful. It makes it sound like it was a poor piece of work, which it was not. And the relevance of this is what exactly? Strictly speaking this is true (i.e. Kenyon did say that). But the problem is that three or four times in this discussion we’ve been told that originally C comprised the whole OT; but no one has thought to notice that while the remains of the NT cover the whole breadth of the NT, from the OT we only have a few of the poetic works of the LXX. The SBL International Meeting will be held in Bueonos Aires, Argentina on July 20-24. The call for papers closes this week, on 12 February. This is a reminder to log in on the SBL website and submit your proposal to the Working with Biblical Manuscripts (Textual Criticism) program unit. Description: This program unit is devoted to the text of “biblical” writings, as understood in the broad sense of the term: This includes the Jewish Bible, early Jewish literature, and the Old Testament (in Hebrew and Aramaic, Greek, and other ancient languages), as well as early Christian literature and the New Testament (in Greek, Latin, and other ancient languages). 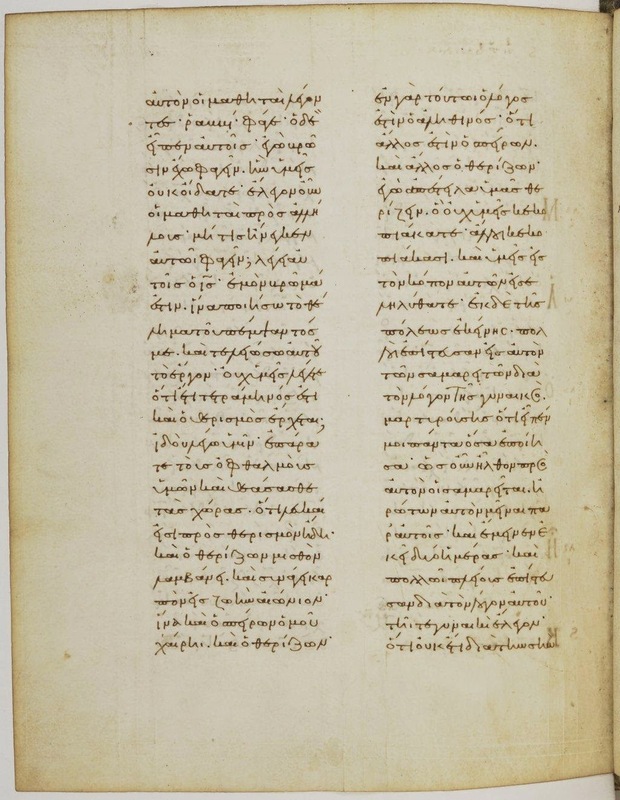 We offer a forum for the investigation of all types of material witnesses related to the text of this literature—tablets, manuscripts, ostraca, inscriptions—and for the consideration of the textual form of this literature reflected in its citation and use by ancient authors and in writings from antiquity through the Middle Ages. This consists not only of contributions that deal with the Hebrew, Aramaic, Greek, and Latin textual witnesses, but also those that engage evidence in Ugaritic, Arabic, Syriac, Ethiopic, Coptic, Armenian, and other linguistic traditions. A wide variety of additional issues related to textual criticism are also addressed, including epigraphy, manuscript studies, papyrology, codicology, paleography, scribal habits and the production of texts, the history of transmission (and its cultural, social, and religious settings), the practice of textual criticism from antiquity to modern times, restoration and conservation, the use of modern technology in studying this material, the production of critical editions, and discussions of particular passages. Call for papers: Papers concentrating on any aspect of textual criticism are welcome, particularly those that deal directly with manuscripts, i.e., papers that work with material witnesses to the text—tablets, ostraca, inscriptions, papyri, majuscules, minuscules, lectionaries. For the 2015 meeting in Buenos Aires, a joint session with the program unit “Bible and Syriac Studies in Context” is planned. We therefore especially invite papers discussing the evidence of Syriac manuscripts for the textual criticism of the Bible and/or other early Jewish or Christian writings. 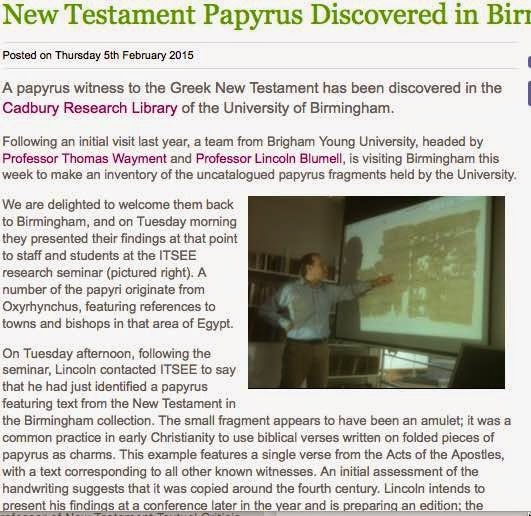 NEWSFLASH: A Greek New Testament papyrus (amulet) has been discovered in Birmingham! Read the ITSEE news release.